As you know, the Biblical prohibition of possessing chametz on Pesach applies only to chametz that one actually owns; thus, it is permitted to have chametz in one’s home provided that it is owned by a non-Jew and that it is kept in a closed place set aside for that purpose. To effect this sale, the Sages established a document (shtar harsha’ah) by which the signatories empower the Rabbi (or local rabbinate) to sell their chametz for them and to buy it back on their behalf after Passover. I have enclosed my version of this document. 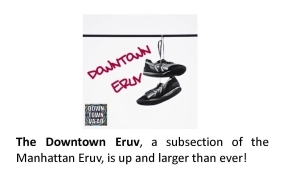 I will arrange that the non-Jewish purchaser is someone who can actually afford to purchase this chametz and one who fully understands property law and the transaction that he is completing. 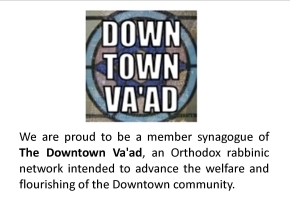 (6) Download, and then e-mail the form to rabbi@SixthStreetSynagogue.org. One final point: Although there is a widespread custom to pay the rabbi who facilitates the sale of chametz, I urge you not to do so. Instead, please feel free (but not obligated) to contribute to the Rabbi's Discretionary Charity Fund. Be sure to specify that this is for Passover Charity. You may do so here.